"Energy poverty" should be a crisis we are used to seeing on television screens, featuring images of the poor in developing countries studying by candlelight and cooking on dung fires. It shouldn't be found on U.S. soil. But as winter sets in, activists are raising concerns that low-income U.S. citizens are being forced to make "third-world choices" between paying for food or utility bills, despite declining energy prices. The incoming Trump administration has promised that the resurgence of the coal industry will solve this problem (among many others). But its opponents see tech innovations in the renewables space — where we are seeing costs declining exponentially — as providing the answer. 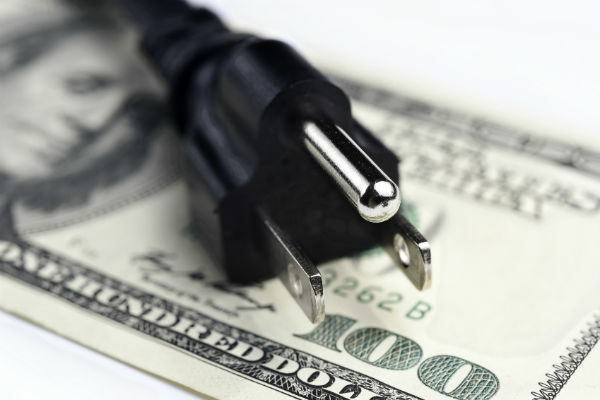 Nationwide data has shown that too many low-income households in the U.S. are spending over 20 percent of their income on energy bills. Many reports in the U.S. cite the magic figure of 6 percent as the proportion of income it is sustainable to spend on energy bills. Others put it higher, at 10 percent. Beyond that we have what experts call the "affordability gap." Low-income households bear the brunt of energy costs not only because they constitute a larger chunk of overall household income, but they are also paying more per square foot due to restricted access to energy-efficiency solutions, poorly insulated and low-quality housing, and a high incidence of renting. While the different political camps agree on the diagnosis of the problem of energy poverty, they understand the problem and its potential solution very differently. Many of the households in danger of energy poverty are in so-called "Trump-land" — poor, rural communities. But those on the right have used the issue of energy poverty to rhetorically appeal to their electoral weak point of African-American and Hispanic voters. However, they see the renewables industry as the culprit, describing fuel poverty as "the deadly side of renewable energy" and California's pro-renewables policy as a regressive tax on the poorest Americans. Trump is famously dismissive of renewables, and one side on this issue sees solar as a luxury for the wealthy — a "politically preferred" option that low-income Americans simply cannot afford. While these stereotypes may have been true of the early solar market, when only wealthy households could invest tens of thousands of dollars upfront, it is no longer true of the mature solar market. Data on the buyers of solar panels finds that the dominance of wealthy households among solar purchasers is becoming less true over time and shows that "residential solar becoming a financial decision, not an environmental one." Many federal policies to date have focused on "weatherization" relief through the LIHEAP program — shoring up residential buildings against the rain, sunlight or cold. But part of Obama's clean energy legacy included a number of executive decisions designed to provide financial support to low- and middle-income households to access solar power. Solar companies, too, have begun to promote community solar projects and solar "gardens" &#8212 where households buy solar energy from a shared neighborhood system. Both the big hitters like SolarCity and small startups like Gridmates, which targets peer-to-peer energy sharing, have become involved. Regardless of the trends, many on the right continue to claim that "green energy isn't cheap energy," arguing that poor households are burdened with disproportionate costs of renewable subsidies. They may be right as of 2016, but the cost of solar panels has fallen from $6 per watt in 2000 to only 57 cents in 2015. More optimistic solar economic projections claim that in 20 U.S. states, solar panels are already at "grid parity" costs, and that 42 more states will be there by 2020. Revelations of energy poverty in the U.S. can be an eye-opener. But policy-makers need to focus on strategic, long-term solutions. The coming years will see in a new age of accessible, democratized solar — beyond the "white privilege" that has arguably characterized the industry to date. Today, coal may remain cheaper but, given longer-term trends, placing all bets on "advanced coal" means taking a seriously myopic view of how to ensure the poorest households in the U.S. can be freed from the choice between food and energy.